August 9 is the memorial of St. Teresa Benedicta of the Cross (her name as a Discalced Carmelite nun), also known as St. Edith Stein. This year, it seems particularly touching to me that her memorial falls on the day before the funeral Mass of Cardinal Lustiger. Both of them were European Jews who lived during the Holocaust of World War II. Both became very influential Catholics who never lost their sense of their Jewish identity and their love for the Jewish people. St. Edith was born in Breslau, which was then part of Germany and now is part of Poland. She died in the gas chamber at Auschwitz-Birkenau, probably on August 9, 1942. Cardinal Lustiger's mother was a Polish Jew living in France, who died at Auschwitz-Birkenau in 1943. This blog has a biographical post about St. Edith Stein and several quotations from her in the category Carmelites: St. Edith Stein. One of the major sources of biographical information used in that biographical post is the 2005 publication of the biography Edith Stein: The Life of a Philosopher and Carmelite, by Teresia Renata Posselt, O.C.D., with extensive editing and notes from more recent historical research by Susanne M. Batzdorff, Josephine Koeppel and John Sullivan (ICS Publications). Teresia Renata Posselt was the Novice Director and then Mother Prioress of the Cologne Carmel when Edith Stein was there. One of the editors of America Magazine devoted an editorial to his review of the book earlier this year, most of which was included in the Spring, 2007 news page of the ICS Publications website. ICS also publishes English translations of a number of books by St. Edith Stein. More online information about the saint is available at carmelite.com. There is also a Vatican biography online. 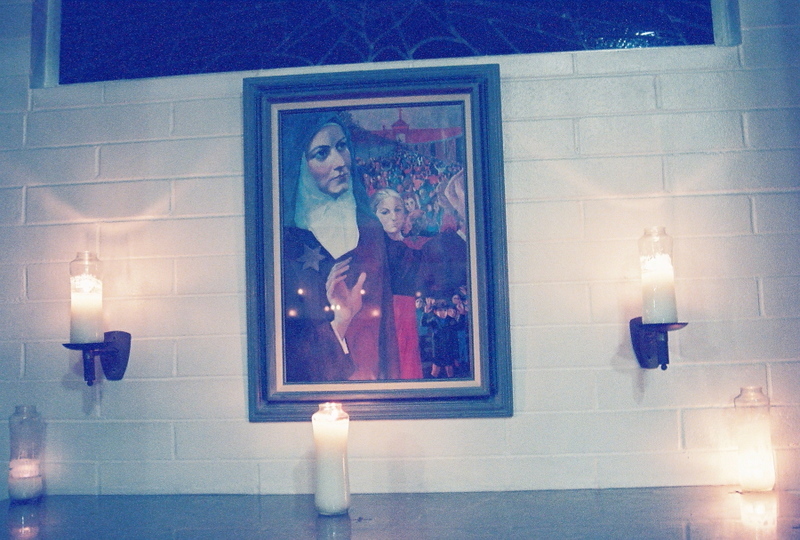 Photo: Picture of St. Edith Stein in the chapel at El Carmelo Retreat House, taken by me at night, October, 2006.